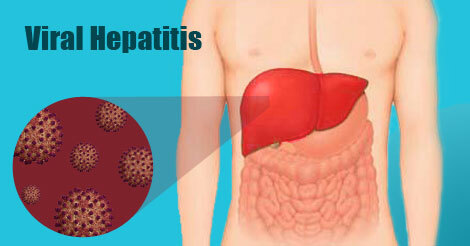 Hepatitis is an acute infection of the liver caused by hepatitis virus. There are six types of hepatitis virus – A, B, C, D, E and G. Although clinical picture is similar and the type of virus can only be confirmed by laboratory tests, there are differences in modes of transmission, incubation period, long term complications and mortality rates. HAV infection is benign with complete recovery in several weeks. The case fatality rate is very low (less than 0.1 %) Usually from acute liver failure though the disease has low mortality patients may be incapacitated for few weeks. In Maharashtra majority of outbreaks of Hepatitis E virus have been reported.However incidence of hepatitis A is declining. Sporadic cases are reported from urban area. Outbreaks of hepatitis A virus infection are associated with contaminated water supply with faecal matter. How big of a health problem is Hepatitis B in India? Hepatitis B is a major health problem in India, under WHO standard category of a medium endemicity country with a prevalence of 2% to 7% of the population. That is about 4.7 crore people are HBsAg – positive. Infections can occur in all age groups; however, high rates of chronic infection are maintained mostly in infants & children. Who is Commonly Affected by Viral Hepatitis? Infection with Hepatitis A virus (HAV) is more frequent among children. Young adults aged 15–40 years are affected by Hepatitis E virus (HEV). Both sexes are equally susceptible. Immunity after an attack of Infective hepatitis is life long – second attack rare. Commonly occurs in community having poor personal & environmental status.